Occupational therapy is the part of recovery after a life altering injury or illness that helps us come back to who we are and do what we have always done. Occupational Therapists work with clients to find out what daily activities are most important to regain control over. An occupational therapy team will work with the individual and their families to gain the skills required to participate in the things they want and need to do through the therapeutic engagement of everyday activities (occupations). Common occupational therapy interventions include helping people recovering from injury to regain skills, and providing support for older adults experiencing physical and cognitive changes. Customized intervention. Helping the client and family to improve the person’s ability to perform daily activities and reach the goals. Outcomes evaluation. The outcome evaluation ensures that the goals are being met and/or make changes to the intervention plan. 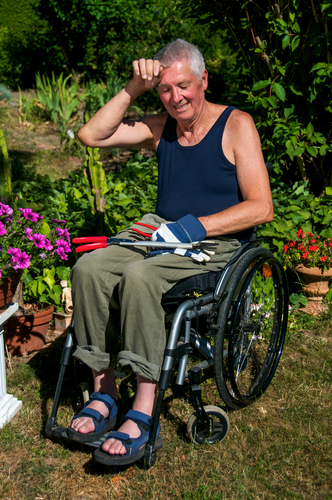 Occupational therapy services may include comprehensive evaluations of the client’s home and other environments. Upon completion of the home evaluation the therapy team will make recommendations for adaptive equipment and training in its use. The team will also offer guidance and education for family members and caregivers. Occupational therapy practitioners have a holistic perspective, in which the focus is on adapting the environment to fit the person, and the person is an integral part of the therapy team.